If I choose a wine locker or cellar, will my wines still be stored in optimal cellaring conditions? If I choose a wine locker or cellar, will my wines be secure? What is the $500 minimum charge? Can you explain the set-up fee? What is the Tasting Room Membership Fee? When are the wine locker rental fees due? What if I have to close my account earlier than planned? Can I share my wine locker or cellar with another person? How do I get my wine in and out of the facility? Will you receive my new purchases from the agents or LCBO at the cellar on my behalf? Is there a wine rack in my locker or cellar? What kinds of wine racks are available? How much wine will actually fit into my locker or cellar? 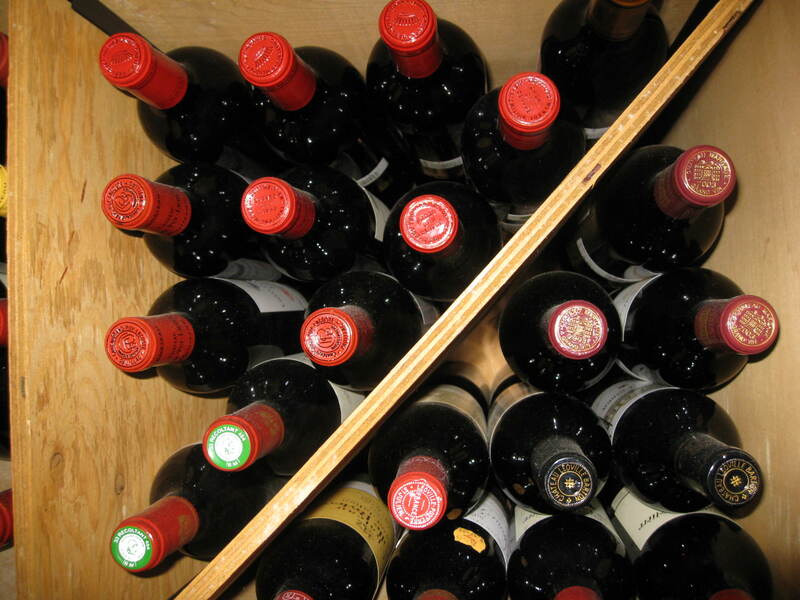 Can I store cased wine in my locker or cellar? What if I run out of space in my locker or cellar? Can I open both a wine locker and a Case Storage account? I have decided that I want wine locker storage at the Fine Wine Reserve - what next? Yes. The quality of the cellaring conditions is exactly the same in the lockers/cellars and Case Storage. The entire facility is climate controlled, and your locker/cellar exists within this larger space. Computerized zoned cooling systems and a series of temperature monitors ensure stable, homogeneous conditions through the entire cellar. So it doesn't matter how or where your wines are stored in our facility - all wines are stored in optimal temperature and humidity conditions. Providing the best possible security for your wine was the top priority in the design and construction of the Fine Wine Reserve. Our sophisticated, custom designed security system will constantly watch over your unit. Your locker/cellar is locked, individually alarmed and supervised 24/7 by a central alarm monitoring station. When you arrive, the system identifies you and automatically disarms the alarm on your unit - and your unit only! All other client units remain locked and alarmed. The system automatically re-arms the alarm on your locker/cellar when it "sees" you leave the Fine Wine Reserve. Our facility is further equipped with biometric fingerprint technology, infra-red motion-activated digital CCTV, and a series of other security devices that force you to pass through six layers of security before you ever reach your wines. All activity in our facility is recorded by two separate security systems & - a digital record (of pass card ID's), and a photographic record (closed circuit camera system). This information is reviewed on a regular basis, and archived onto digital storage media. No. However, it does not make sense to store in a wine locker or cellar short term. New members are required to complete an orientation/registration program before taking possession of their cellar. This program is 2 to 3 hours in length. Also, members are encouraged to unpack their cases and rack up the bottles into their unit which takes a little time. Finally a $500 minimum charge applies. For these reasons, if your needs are only short term (less than a year), we suggest you use our Case Storage services. No. You pay for the space, versus by the case. The quantity stored in your locker or cellar is up to you. Our smallest unit is an 8-case locker and fits between 70 and 100 bottles. Rather than define a minimum lease term, we have a minimum charge. Once you have paid a total of $500 in rent, you may close your account at any time (with 30 days notice) for a full refund of any and all unused prepaid rental fees (calculated to the nearest full day). The $500 is a one-time requirement - not an annual requirement. Depending on the size of unit you select, you will be at that stage in less than 12 months. You will never have to worry about over-estimating your lease term length, or prepaying for wine storage you might not use. There is a flat fee for your unit, and this fee varies according to the size of locker or cellar you select. The fee ranges from $54/month for an 8 case model to $1885/month for a 600 case walk-in model. Other than the set up fee and Tasting Room Membership (optional), there are no other charges or fees to manage your collection in these units. You can deposit, withdraw and access your collection as often as you wish at no charge. For complete details on rates, please see the RATES section of this website. The set-up fee is a one- time charge when you first become a member of the Fine Wine Reserve. You do not have to pay it again, even if you switch to a larger or smaller model at a later date. If you switch to another unit, we transfer your lock over to the new unit. The set-up fees are $35+HST per person for your pass card, and $60+HST for your lock. Please note that the 96-case locker and the 600-case cellar requires two locks. If you want to use our Tasting Room to sample your wines and entertain your guests you will need to purchase a Tasting Room Membership. For complete details, please see the TASTING ROOM - FAQs - TASTING ROOM section of this website. The fees are due in advance. The amount due will depend on the lease term you select. Clients may select a 3, 6, 12, or 24-month lease term. Those who select a 12-month term (or longer) receive 10% off, and price protection for the duration of their term. About 85% of our clients select a one year lease term to take advantage of this discount. With 30 days notice, you may terminate your lease and close your account at any time. Any unused prepaid rent on your account over and above the one time minimum billing requirement of $500 will be refunded. Can I share my locker or cellar with another person? Yes. Up to two individuals (plus spouses) can share a unit that is 16 cases or larger. Other than the one-time set-up fee of $35+HST (and optional Tasting Room Membership fees), there is no extra cost to share your unit with a colleague or friend. The one time set-up fee for a unit partner increases to $75 if they are unable to attend an orientation/registration session already in progress (i.e. your orientation, or one held for another new client). The small 8-case unit can only be shared with a spouse or other direct family member. Drive your vehicle (or taxi) up to our loading area. Complete the security procedure, and a small "case-sized" rolling door opens automatically. You place your cases onto the conveyor, and they descend directly into the facility. The same conveyor is used to move wine out of the facility. The whole process is quick and effortless. You have access to the conveyor 24/7 - no appointments or supervision required. Yes. We don't keep keys to the wine lockers and so you must pick up your wines from our receiving area located within the cellar at a later date. However, if you have a 200 case walk-in cellar or larger, and if you provide us with a key to your cellar, we will receive your wines AND deposit them directly into your private cellar. There is no extra charge for this service, unless you want us to pick up your wines - in which case standard pick-up charges would apply. As part of this service, we will ensure the bottle count matches the documentation (if provided), but it is your responsibility to verify the actual wines. If you would like us to verify the wines, please request it. We would be happy to inventory your wines (bottle inventory fees apply - see RATES - CASE STORAGE). Please note that if you have both a private wine cellar and Case Storage account, your wines are automatically submitted into your Case Storage account by default. If you want the wines deposited into your private cellar, you must advise us no later than 24 hours after you receive your "WINE RECEIVED" report. Alternatively, ask the delivering agent to address your invoice as follows: c/o "my Private Cellar account". Yes. Standard racking is included at no charge. 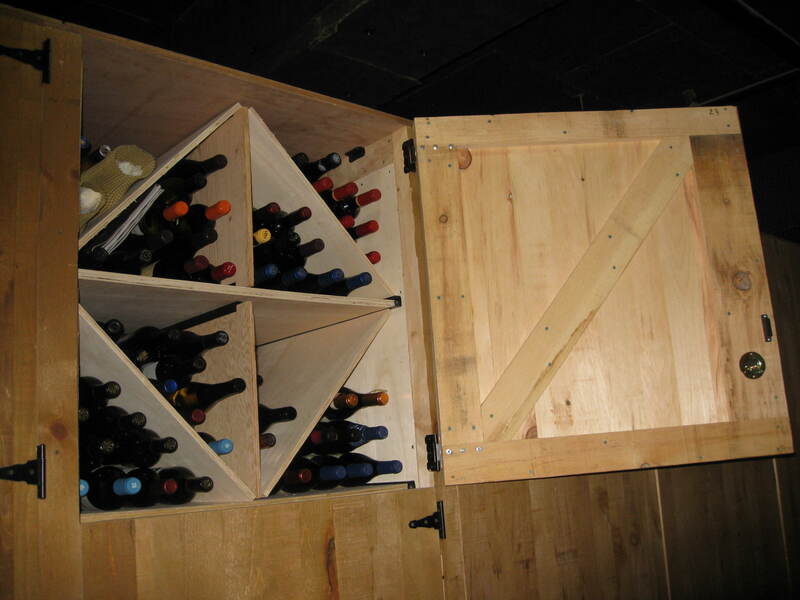 With our permission (at your cost), you may install custom (red-wood or other) racking in your locker or cellar. There are two types of racking that we provide at no charge: bin racks and metal grid racks. Provided you have a 16-case unit or larger, you can also mix and match the racking styles. 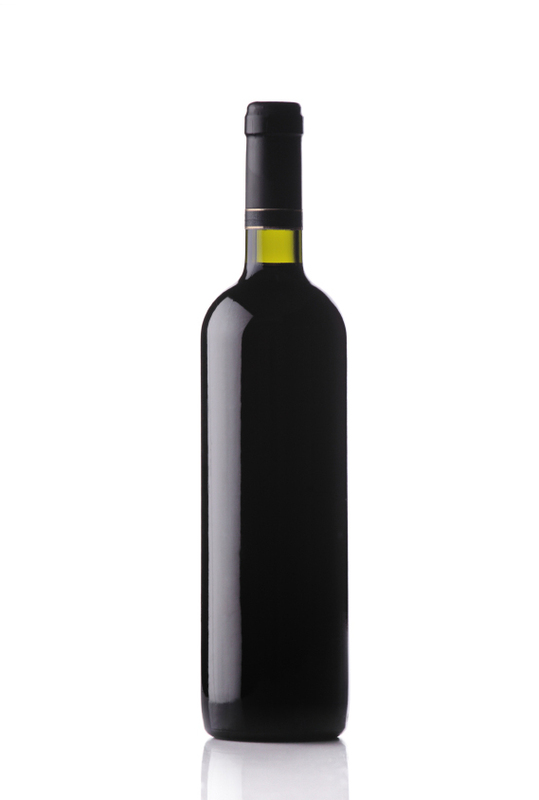 All cellars/racks are "double-depth", meaning one bottle sits in front of another. The bin racks are simple wooden compartments. Your bottles stack on top of one another approximately 4 or 5 bottles high. Each single compartment or bin is equivalent to an 8 case unit, and fits 70 to 100 bottles. Each bin is rectangular-shaped and approximately 31" wide, 15" high and 26" deep (i.e. double depth). A center divider runs vertically through the middle of the bin and this creates two equally-sized and side-by-side compartments measuring about 15" square (and 26" deep). If you like, you can further divide these square compartments into two triangular-shaped compartments using the two removable diagonal dividers provided . This creates a total of four compartments per bin. Slide in the diagonal divider if you want to increase the number of individual compartments for easier access to your bottles. Remove it if you would like to increase the capacity of your unit, or if you want to store cased wine. The grid racks are made of black lacquered metal. Each bottle is inserted into its own slot in the rack. With these racks you are never farther away than one bottle from any other bottle (i.e. they are double depth). Grid racks make all your wines very accessible. If your whole collection consists of only a few bottles of each wine type, and/or you want quick access to all your bottles, then the metal grid rack is the ideal choice. Finally, the metal grid racks tend to be a little easier to use. Stacking differently shaped (i.e. BX and BG bottles) bottles into your bin can get a little tricky. 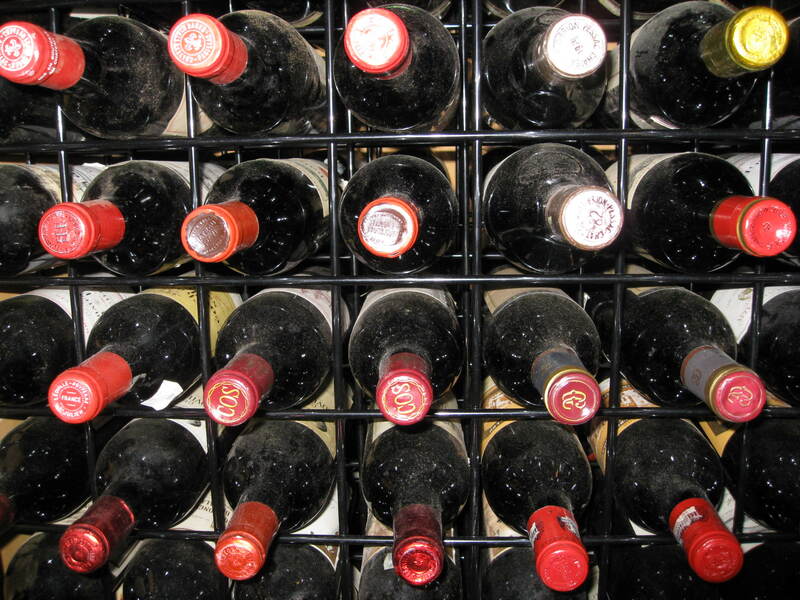 Keep in mind that the grid rack reduces the total number of bottles that you will fit into your locker or cellar. Unless all your bottles are the fatter Burgundy-style bottles, bin racks will hold more bottles than a metal grid rack. We recommend bin racks if you are trying to get the maximum quantity of wine into your unit. The downside of the bin rack can be if you need a bottle from either the bottom or the back of the bin. This would require moving other bottles out of the way. 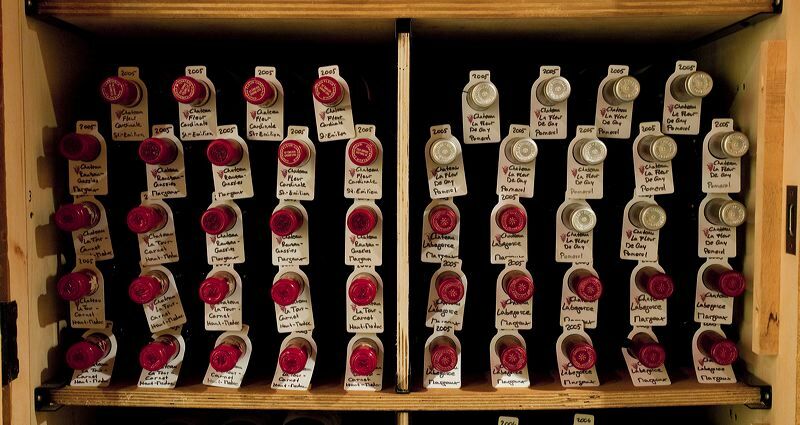 Although this may be an issue for clients with only one or two bottles of each wine type (all ready to drink), those storing wine at or near "case quantities", or for those who have wines that need longer term aging will not be greatly affected. Also, keep in mind that any sized or shaped bottle will fit into a bin rack, whereas only 750ml bottles will fit into the grid rack. The grid rack will accept all Bordeaux-style bottles (narrower bottles, with straight sides, and a sharply sloped shoulder) and about 98% of Burgundy-style bottles (wider bottles with gently sloped shoulders). Certain very wide bottles (i.e. certain Champagnes like Salon) may not fit in the grid rack. As such, we generally advise against installing a grid rack that covers your entire locker or cellar. You may want to leave at least one bin available for oversized or large format bottles. First some background information: An 8-case locker is one bin high. A 16-case locker is two bins high, and so on. The lockers are available in the following sizes: 8, 16, 24, 32, 40, and 48-case - meaning your unit will have a total of 1, 2, 3, 4, 5, and 6 bins, respectively. The 96-case unit is actually two side-by-side 48-case units, with each 48-case unit being 6 bins high (total 12 bins). Actual bottle capacity of your unit depends on unit size (i.e. number of bins) and the racking style (i.e. bin or grid). If you use bin racks, bottle capacity will vary, because it depends on the shape and size of the bottles you put in your bin. As a guide, each individual bin will hold a minimum of 70 bottles and a maximum of 100 bottles. To figure out how many bottles will fit in your unit, multiply the number of bins in your unit by 70 (to determine the minimum bottle capacity) and by 100 (to determine the maximum bottle capacity). Alternatively, take 70% of the unit name as your minimum (i.e. 70% of a 24-case locker means you will fit at least 16.8 cases). If your collection consists of a mix of different wine types and bottle styles, you will likely get something towards the middle of the range, that being about 85%, or 20+ cases in a 24-case locker. 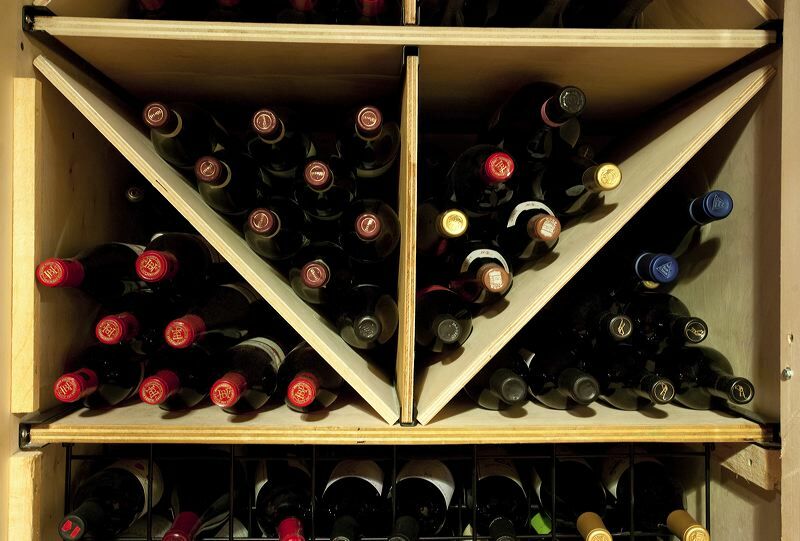 The maximum capacity (100 bottles per bin) is obtained if: 1) all your bottles are the narrower Bordeaux-style bottles; and 2) you do NOT use the diagonal dividers in your bins. Minimum capacity (70 bottles per bin) is obtained if: 1) all your bottles are the larger Burgundy-style bottles; and, 2) you use both diagonal dividers in your bin. If you use a grid rack, bottle capacity is fixed. Each bottle has its own slot in the rack, and capacity does not depend on the shape or size of bottles in your collection. Bottle capacity comes down to the size of your locker or cellar, and the size of the grid rack. You may use a grid rack that covers your entire unit, or leave one or more bins available by using a shorter grid rack. Using a grid rack, you will be closer to the minimum capacity rating of your unit (70%) for units 24 cases and above, and a little less for the 8 and 16-case unit. If the majority of your wines are Bordeaux-style bottles, you would have room for many more bottles using the bin style racks. If the majority of your wines are Burgundy-style bottles, then it really doesn't matter what racking style you select - bottle capacity will be similar using either racking style. A basic estimate of the number of bottles that will fit in your locker or cellar is provided in Table 1 below. Table 1 compares the two extremes for furnishing your unit - that being 100% bins versus 100% grid racking. Of course, you can always mix and match the racking styles by using a smaller grid rack and leaving one or more bins in your unit. There are many possible combinations for mixing and matching the racking. Table 2 estimates bottle capacities based on grid racks of varying size. Bottle capacity varies for larger units with grid rack because the grid rack is only 82" tall or 5 bins high. This means the larger units (48 case and above) will always have at least one bin (with varying capacity) on top of each grid rack. In the 200 to 600 case units, cases can also be stacked on floor. This extra capacity is NOT included in bottle count. Yes. You can store cased wine (any case, lay flat style, stand-up style, wooden or carton) in the bin racks if you remove the diagonal dividers. We can even remove all the racking in your unit if you would like wide open space to stack cases (landlord permission required). However, storing cases will dramatically reduce unit capacity. By nearly 50% if you fill your entire unit with cased wines. To maximize the capacity of your locker or cellar we recommend you remove the bottles from the case and place them in the bins or grid racks. The racking is modular; it can be configured to store both cases and bottles if you wish. In the walk-in units, you may also stack cases on the floor. Subject to availability, you can upgrade (or downgrade) to a different size unit at any time. You do not have to wait until your lease term ends. Any pre-paid rent on your old unit is automatically credited and applied to your new unit. Alternatively, if you don't want to move your bottles to a new unit, you can keep your unit and lease a second one. Can I open both a wine locker and Case Storage account? Yes. 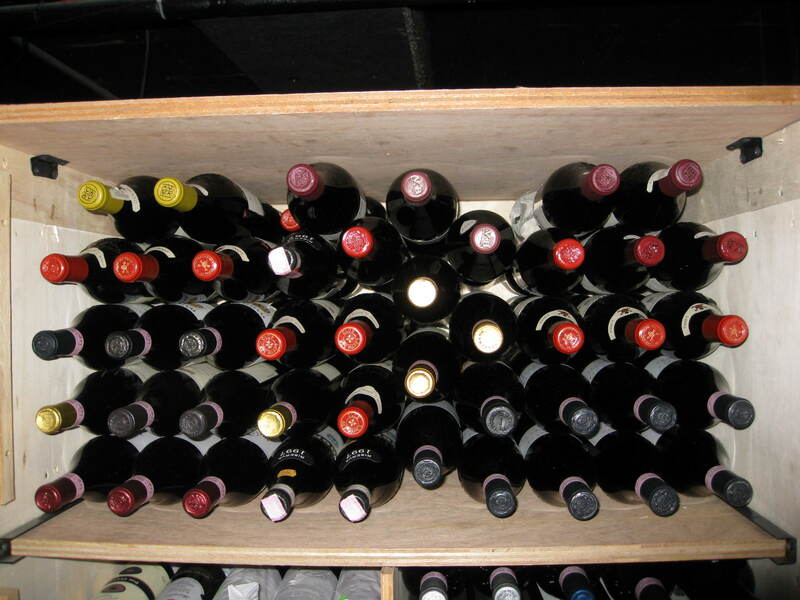 Many members have a wine locker or cellar for wines that are ready to drink (or nearly so), and submit wines destined for long term aging into Case Storage. 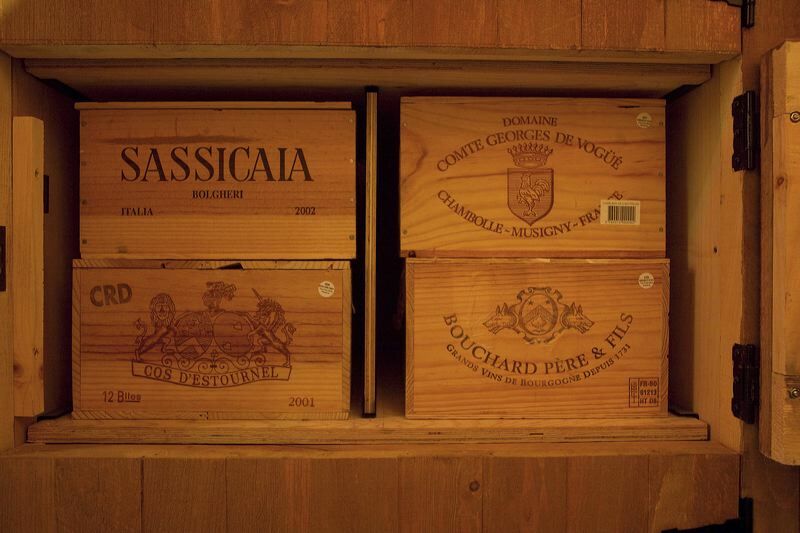 Every so often they withdraw from Case Storage to restock their locker or cellar. Yes. We can pack and transport wines to our facility at any time. However, as a wine locker or cellar client you will have to take receipt of the wines at our facility. The Fine Wine Reserve does not keep keys to your unit and would be unable open it. Check out the OTHER SERVICES section of this website for information on cellar packing, pick-up and delivery. I have decided that I would like a wine locker or cellar at the Fine Wine Reserve - what next? Call us at 416-593-9463. If you would like to come in for a tour/inspection, we would be more than happy to show you around. Be forewarned, websites can be misleading. The only way to determine whether or not the operator provides true professional cellaring conditions is to go on a full tour, ask questions, physically looking at the systems in place to control temperature, humidity, etc. Our Cellarmaster will provide you with a full tour of the Fine Wine Reserve facility. He will show you firsthand the equipment and systems we have in place behind the scenes to protect your wines. During the tour, you can decide what size locker you want and the style of racking you would select for installation. We will get your Cellar ready and then call you to arrange your orientation/registration within a few days. You can bring in your wines at that time, or at a later date. If you do not want the tour, and you already know what size and type of unit you want, then we'll make an appointment for orientation/registration right away. Please allow 2.5 to 3 hours to complete the orientation/registration. Once complete, you're all set - the proprietor of your very own wine cellar!